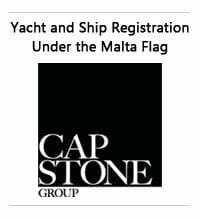 The luxury of being able to count on the expertise and reliability of the world's largest marine player, including when researching used yachts. Under the motto "Either New or from Preloved-Yachts", a new website was launched that is dedicated to used yachts from the Azimut-Benetti dealer network, with the site's very title making clear the philosophy that inspires it. On the one side, there are indeed special yachts that gave their owners unforgettable moments; on the other, there are new owners who are looking to buy a used or - to use the charming description coined in Australia - a "preloved" yacht. Matching these boats with these owners is the mission of Preloved-yachts.com, the world's only website where it's possible to choose the yacht of your dreams with the peace of mind of being accompanied and advised by top-rated professionals: the extensive sales network for the Azimut-Benetti Group and Fraser Yachts, companies specialising in the management of luxury yachts. Owners will be able to count on the support of an expert for obtaining all necessary information, booking on-board visits, and organising trial-runs at sea. At all times, owners will have at their side a professional, reliable partner for providing assistance at each stage of the purchase: from management of bureaucratic matters to selection of the necessary skipper and crew. For the first few months, the service will be available only for yachts moored in Italy. But once it's fully up and running, the site will enable visitors to search for their special preloved yacht throughout Europe and the rest of the world. The most important boat show in the Asian world came to an end several hours ago: the 2011 edition of the Hainan Rendez-vous. In confirmation of its leadership in Asia and, specifically, on the Chinese Market, Azimut Yachts, represented by it five Official Dealers, celebrated the sale of its fifth boat during the Boat Show actually, the eighth boat, if one considers the three boats sold in the run-up to the Boat Show. Garnering much acclaim were the models from the punchy "S" collection, as well as the yachts from the Flybridge collection, which is emblematic of Azimut's functional design. Of the five stars, one in particular lit up the skies above Hainan: made official this morning was the sale of an Azimut Grande 120SL, the impressive, manoeuvrable gliding yacht that is the flagship of the Azimut Yachts line and one of the largest boats placed on the dynamic Asian market. Azimut Yachts once again, attending to the Asia with a representative office, confirms its ability to maintain very close contacts with its boat owners and to meet their desires and expectations through the support of its extensive dealer network and attentive client service that is unique in yachting circles. An Azimut turned out to be the first yacht sold after the opening of the Hainan Boat Show. It took just a few hours for the new owner to fall in love with his Azimut and commit to buying it. The model: an Azimut 43, a sophisticated representative of the "Flybridge Collection" and emblematic of Azimut's functional design. Right after signing the contract, the owner said he was thrilled, and not long afterwards, a second boat from the Flybridge collection found its owner, all amidst non-stop talks and visits with current and prospective customers at the Boat Show. The news, which came shortly after the opening of China's premier boat show, once again reaffirms the leading role enjoyed by the Azimut brand and the Azimut-Benetti Group as world ambassadors of Italian styling. Azimut Yachts attended the 2011 edition of the Hainan International Boat Show, where it will be represented by its five official dealers at the event's largest and most glamorous booth. In a show of its commitment and willingness to continue along the path it forged a number of years ago, the Italian brand will had five models on display to open the Chinese show: the 40S from the punchy Sportive collection; the 58, 70 and 100 Leonardo from the Flybridge collection, which epitomises Azimut's functional design; and the 105 from the company's flagship collection, Azimut Grande. For the Magellano collection, on the other hand, boat enthusiasts will have to wait a few months: The Magellano 50 is expected to be delivered in late 2011 to its owner. Thanks to the support of its extensive dealer network and attentive customer service that is unique in yachting circles, the Azimut Yachts brand can maintain very close contacts with its boat owners and earn appreciation on the Chinese market as being the leading brand of luxury yachts. The jury of the prestigious Asia Boating Award 2011 in fact has selected the Magellano 50 as one of the finalists in the category Best Production Motor Yacht (51 to 80 feet), with the Azimut Yachts brand also being nominated for Best Brand Presence in Asia. The current Azimut Yahcts orders portfolio includes 16 boats, three of them sold just few days before the Hainan Rendez-vous. Such positive trend confirm that Azimut Yachts has gained a high appreciation by the Asian shipowners. Also on the program for the Boat Show are three events in pure Italian Style that will illuminate the nights of the exhibition and paint the Hainan sky with the colours of Azimut Yachts. On three evenings - April 1, 2 and 3 - and at three locations, three Italian icons known throughout the world will portray the most captivating and characteristic aspects of "stile italiano": the mysterious charm of Venice, the vibrancy and vitality of Rome, and the breathtaking passion of Sicily. The 2010-2011 Service University of Ferretti Group, a world leader in designing, building and marketing luxury motoryachts with a unique portfolio of the most prestigious and exclusive brands in the nautical world, has recently come to a close. A fundamental appointment for training its worldwide service network, the Ferretti Group Service University is a true “school”, the aim of which is to provide in-depth technical updates for the diverse professional figures operating within the structures of the many Group-authorized service points, thus ensuring all Owners the guarantee of a top quality after sales service. This year, the training sessions were organized at the Group’s various production facilities, and were divided into geographical areas, according to the new organization of the After Sales & Service Division, with the aim of devoting increasingly more attention, and working more intensely, to satisfy the very different requirements of each specific territory. The first appointment was for Italian Service Points, followed by a second, in English, for those of Europe, the Middle East and the USA. A third session was specially prepared to respond to the significant adhesion from the countries of the Far East, Africa and South America. Said session flanks the already existing training activities for on-site technicians which Ferretti has now been running for several years in these areas. The training days organized by the Ferretti Group’s After Sales & Service Division included significant collaboration from the highly skilled, specialized staff of the Ferretti Group AYT (Advanced Yacht Technology, one of the most advanced naval research and design centres in the world) and the Group’s primary technical suppliers (Besenzoni, CCLG, Condaria, Fluiten, Furlanetto, Idromar, Naviop, Twin Disc, ZF). The wide range of classroom courses, focusing on the different kinds of professionalism and expertise operating within the service points alternated with visits to and on-the-job training in shipyards and on-board the yachts, providing participants with an opportunity to assist with and learn about the various stages of the production and maintenance processes of the various parts and systems. In deep sorrow for the sudden loss of Salvatore Basile, the Ferretti S.p.A. Board of Directors met under the chairmanship of Norberto Ferretti and appointed Giancarlo Galeone, Group shareholder and Director, as new Chief Executive Officer, conferring the relative proxy and powers. Giancarlo Galeone has a profound knowledge of the Ferretti Group which he directed as CEO from 1995 to 2006. His appointment will guarantee complete company continuity. Indeed, as of July 2009, Mr Galeone worked in close cooperation with Mr Basile on the Board of Directors in defining the reorganisation and relaunch plan, sharing the same vision and strategies. Chairman and Founder Norberto Ferretti, the Board of Directors, the Executive Committee, the entire Ferretti Group team together with shareholders Mediobanca and Yacht Partecipation, a company headed by Norberto Ferretti, have expressed their satisfaction for the appointment of Giancarlo Galeone, a man of proven experience in the nautical sector and of great strategic vision, representing a significant choice in the projects of expansion and further development that the Group has been pursuing over the past years. Formula is pleased to announce we have partnered with Ilmor Marine, LLC, a leading manufacturer of high-performance engines in the marine marketplace. The Formula 400 Super Sport is the first Formula to receive the exciting Ilmor 725 MV10-725 engine package. At 725 horsepower and 8.4 liters in displacement, it's one of the most powerful gas engines available today. The Illmor 725 is naturally aspirated, providing for greater fuel efficiency, and has a unique all-aluminum V-10 configuration. Ilmor Marine, LLC has been providing high-quality engines since 1983, ranging from Indy cars and motorcycles to high-performance marine racing. Formula recently attended the April 2011 Moscow Boat Show at the Crocus Expo International Exhibition Centre - the overall exhibit is 18,000 square feet. The show was a great turnout —another International sucess for Formula! Gulf Craft, the Middle East and Asia’s largest and leading builder of luxury cruisers and superyachts, is once again proving to be a pioneer in the Asian yachting industry, following the address from Erwin Bamps, COO of Gulf Craft, given on the first day of the 3rd Asia Superyacht Conference on Thursday 7th April. The topic of “The Middle East and South East Asia – developing an interlinked superyachting industry”, highlighted Gulf Craft’s vision of an emergence of a third large yachting destination globally, after the Mediterranean and the Caribbean, defined by the yachting grounds connecting the Middle East and SE-Asia cruising destinations, for tourists from outside the region, and also for yacht owners and charter operators based within the region. As one of the few luxury yacht and boat builders based in the Orient, Gulf Craft have supplied boats to Asia for the past 20 years, and experience a similar client requirement list both in the Middle East and Asia, with both regions still being emerging markets for Superyacht ownership and operation. The presentation was warmly received, as key industry figures acknowledged UAE based Gulf Craft as perfectly positioned on the edge of Asia and the steady growth of Gulf Craft’s presence in the SE-Asia market. The Majesty Yachts range of fly-bridge motor yachts emphasizes this as the range has been developed and expanded over the years and Gulf Craft now feel it is an opportune time to introduce this premium range to the region while the local appetite for luxury yachts is growing hand in hand with ambitious investments in marine infrastructure and services; especially now that it is becoming more and more feasible and attractive to keep and operate luxury yachts in SE-Asia. Gulf Craft is currently on a 6 week tour of the SE-Asia region to promote intensively the Majesty Yachts range, which has only been receiving limited visibility on these waters so far, with a noted passing through of the Majesty 130 in 2007 on its maiden voyage from the Gulf to the East Coast of Australia. Showing their commitment and investment in the region, Gulf Craft is participating at the Singapore Yacht Show between 8 – 10 April, then heading to Phuket in Thailand and Penang in Malaysia with the Majesty 88 and Majesty 56, before returning to Singapore for Boat Asia on 12 – 15 May. Furthermore, as part of their continuing strong-hold in Asia, Gulf Craft is proud to announce its new membership of the Superyacht Singapore Association. Through the membership Gulf Craft are further confirming their commitment to the Asia region and increasing their local presence and support for the ever-growing Asian yachting industry. The Superyacht Singapore Association (SSA) is a non-profit association formed in 2007 with the prime objective of ‘promoting Singapore as a superyacht destination and a hub to create economic value for Singapore in the superyacht industry.’ Gulf Craft has been accepted as a member due to its proven track record of reliably delivering luxury motor yachts in the region, and future plans to further expand in this key yachting market. The significant presence of Gulf Craft in Asia has already been recognized through their nomination in the Asia Boating Awards 2011 for the ‘Best Asian Motor Yacht Builder 81ft and Up’, where the winner will be announced at Hong Kong Boat Show in early May. 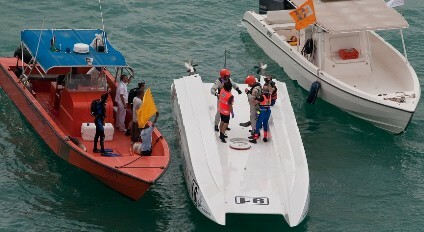 Horizon confirms to participate The Rendezvous in Monaco, to be held 23-26 June 2011. It is the first time for Horizon to attend this superyacht event since Horizon gained recognition to join the SYBAss (Superyacht Builders Association) family in October 2010 as the first SYBAss member from the Far East. So far, there are nine SYBAss Partners, a collection of the world’s leading shipyards, confirm to join this grand event, and Horizon is the only qualified superyacht manufacturer from the Far East. Horizon would like to take this great opportunity to raise Horizon brand awareness and invite the superyacht owners to join us and enjoy a series of exciting games and social activities. On the other hand, to fulfill the responsibility of SYBAss member and to have eye-catching performance for the first time, Horizon will bring a 136-feet superyacht to the show and has confidence to attract those owners’ eyesight. In this January, Horizon has established its own sales and service office “Horizon Yacht Europe” in Spain which is operated by Mr. Ron Boogaard, and meanwhile proposed its comprehensive plan to promote Horizon brand in Europe. One of the new plans is to attend all major boat shows and the first one is Dusseldorf Boat Show in January in which Horizon obtained the warm welcome and encouragement from the current Horizon customers from Europe. And the next one is The Rendezvous in Monaco 2011. Horizon is keeping moving its step forward in Europe and will surely dedicate itself to design more luxury and unique superyachts and never forget its commitment to customers. Fascinating presentation of Italian Yachts S.p.A.’s new “jewel” took place with a most prestigious backdrop, the Principality of Monaco. It was a unique and exclusive event on Saturday April 16th 2011, at Monaco’s elegant Yacht Club, where a large crowd that included many personalities, industry people, as well as the International Media, in order to preview the new JAGUAR 92. Artists from all over the world entertained guests with music, dance, and amazing acrobatics; a show that lasted almost four hours. It was a “debut” that epitomized the word “class”, and an event that paid homage to a boat that is destined to blaze new trails when it comes to true taste, meeting the expectations of even the most discerning clients. With fishing season here or just around the corner, this is the time of year Jarrett Bau is busily launching some of the bigger refit & repair projects that have been going on in the yard this past winter. Here is some information on two noteworthy projects we recently wrapped & splashed. Recently completed is an extensive refinish work on the Dun-Rite, a 57' Tommy Fletcher Sportfish - including exterior fairing/painting, new teak mezzanine sole, cherry veneer, headliner, walls, flooring, counter-tops & soft goods, fabricated by Crystal Coast Interiors, throughout and hooked up new Cat C-15s. On April 6th, the Dubinetts, owners of this 80' Lydia threw a thank you cookout for our service staff to celebrate the completion of the Yankee Spirit/True Love refit. This is an 80' Lydia converted from a commercial whale-watching vessel to a private sportfish! Jarrett Bay has expanded existing ammenities at their 175-acre Beaufort, NC yard to facilitate the servicing of outboards, inboard/outboards, outdrives, sail drives, generators and PWCs. Joel Topie has been hired as Jarrett Bay's Shop Manager after spending the last decade as the Service Manager for National Boat Mart in Indianapolis. Topie's in-depth gas service knowledge-base began at the Inland Marine Institute, where he graduated with honors in 1985. Topie has since worked with several marine service providers gaining extensive experience in trouble shooting and repairing a wide variety of marine engines and systems, as well as Onan and Westerbeke generators. In addition to receiving Yamaha Service Managers training, he is also a Yamaha Technical Training Honors Graduate, a Mercruiser Master Technician, an OMC Outboard Master Technician, Mercury Outboard Certified, OMC Cobra Certified, and Honda Outboard Certified. Topie will join the JBBW family on April 18 to better provide customers with a comprehensive roster of services. Topie will also oversee our current Outside Machinist Group, which consists of six mechanics and our ABYC Certified Yard Electrician and Assistant. Herb Roberts, formerly of Morehead Marine in Morehead City for nearly 20 years, will be joining Topie to provide extensive mechanical services. Roberts is well respected in the region as a first-rate mechanic. Roberts also has extensive Mercury and Yamaha training under his belt - Certified on OMC outboards as a Master Technician, and as a Yamaha Master Technician for both 2- and 4-stroke technology, achieving Yamaha 5-Star Certification. Long-standing Jarrett Bay service expert Brian Wade returns to the Outside Machinist crew heading up the fully equipped service van providing more efficient and responsive service to off-site customers. Spring is here and Jarret is pleased to report lots of activity on the ICW and in the Marine Park. Most encouraging is that brokerage business is three times that of 2010! Definitely an excellent indicator of confidence increases in US economy. Other positive signs include a general up-tick in the amount of refits and overall business within the Jarrett Bay Marine Park this winter, with backlogs well into the summer. In this month Jarrett Bay welcomed two new additions to its Charleston, South Carolina staff; Shane Wray & Nicholas Macpherson. Both Shane & Nicholas come from extensive boating backgrounds with experience in captaining, sales, & service. Jarrett Bay is in the midst of re-establishing our Charleston office location at Ashley Marina, and should be announcing those details publicly in the near future. Nordhavn Europe’s first “Open House” proved to be huge success with over 60 groups of prospects enjoying the fantastic line-up of Nordhavns never seen before in Europe, and as luck would have it, the weather was tremendous for the entire 10 days of the Open House which ran March 25-April 2. Prospects travelled far and wide from all over Europe including Norway and Turkey, and some even from as far as the U.S. Attendees were informed that commissioning would continue on some of the display boats during the Open House, and so this gave them the rare opportunity to see “beneath the surface” while work was being done, which is something that they would not normally see. The line-up of Nordhavns enabled all interested to begin their tour by first viewing the Nordhavn 43, which was out-of-the-water, allowing attendees to really appreciate and understand the underwater profile, the quality of engineering and design of the 43 which is echoed throughout the range. Two Nordhavn 47s were available again, one on land and the other on the pontoon. Interestingly, the in-water 47, although six years old, had been looked after extremely well by both her first and current owners, and showed as a much newer boat. Also drawing big crowds were the Nordhavn 55 and 60. It was unusual to see both brand new boats side-by-side, but an ideal opportunity to compare and contrast. Both boats had very different layouts; mainly, the 55 had the forward island berth which was beautiful. With this layout we were often asked which is the “Master” as this forward cabin option is so appealing. The 60 had more customisation than the 55 with a new layout in the forward cabin area: the owner chose a bunk cabin on the starboard side and double berth to port with a shared head arrangement forward. Again, beautifully designed and built. Other modifications included the Captain’s cabin behind the pilothouse that was converted to a full office, an enlarged salon table, and galley counters that were raised by 4 cm. with custom galley equipment. Next up was the magnificent 76. As with all Nordhavns, attendees were hugely impressed with her presence, size, internal volume and space. Individually designed for the owner and his family, she sat head and shoulders above all the other boats in her class. The only stock boat that was on display was the Nordhavn 56 Motorsailer. PAE heads Jim Leishman and Dan Streech knew that it would be a perfect opportunity to introduce the Motorsailer to the European market at the Open House. The prospects that came in anticipation of seeing her for the first time were very impressed, and this design really gives customers another cruising option. Nordhavn Europe’s offices are located in the hub of the U.K.’s marine industry and is based at Hamble Point Marina at the mouth of the Hamble River as it enters Southampton Water. Hamble River has a large number of boats moored up and down the river in numerous marinas, on swinging moorings and on mid river pontoons. All the Nordhavns were berthed on the last pontoon of the Hamble River, so they are the last line of boats that people see on the way out of the river and the first line of boats they see on the way in. This exposure gives current boat owners plenty to look at and discuss as they head out for a day’s sail, especially with the current abundance of Nordhavns in this location. Some attendees had the unexpected pleasure and opportunity to meet a gentleman called Callum McCormick, self-named “Dreamer-In-Chief” and proprietor of the Nordhavn Dreamer’s site. Callum spent two days walking the Nordhavn pontoon taking numerous photos. With his great sense of humour and big personality, he was a pleasure to have around. The site has been running for the last two years and Callum informed that there are over 1,200 Nordhavn dreamer subscribers. The Otam 65 Millennium was granted the cover of the famous Italian magazine Motonautica for May 2011. A six page review for this twenty meter hard top sport yacht was featured inside of the magazine from pages 136 up to 141. In this April month issue Otam also had a full company profile with Interview article on an other Italian magazine titled Barche. This article told the story of Otam and the future ambitions of the North Italian since 1954 founded boat builder in a seven page article. 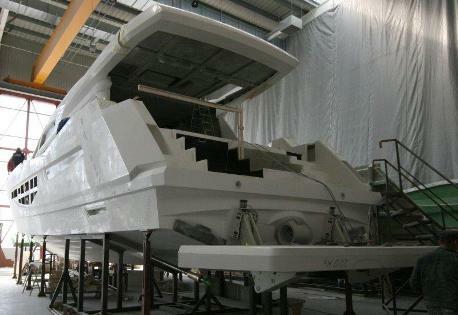 The first hull of the Mangusta 148 Oceano arrived at the Viareggio facilities of Overmarine. The new model represents the first displacement hull with three decks projected by Overmarine Group still designed with the successful family feeling of the Large Open line. Mangusta 148’ Oceano has been built in order to offer to her Owner the maximum comfort on board by integrating the latest technology processes with the most advanced marine equipments available in the market. To truly relax and enjoy your time on the water, you need to be confident that you have the right insurance. As the exclusive insurance provider of the Rinker Owners Club, MSW Marine Insurance offers A+ rated coverage at competitive rates for Rinker owners. With more than 20 years experience insuring just boats, MSW Marine assists all of its customers in finding the proper coverage for their specific needs. Whether a fishing, pontoon or ski boat, our professionals will customize a policy just for you. And with marine-specific claims representatives, you will have the peace of mind and expertise on your side in the event of an incident. Riviera, Australia’s most awarded pleasure boat builder has won the Red Cross Blood Service’s corporate challenge for the 4th consecutive year, helping to save the lives of more than 4000 people. Red Cross Blood Service community relations officer Stephanie Allen presented the Bloodislow Cup to Riviera’s health and safety advisor Tony Schmid and CEO John Anderson this week. Mrs Allen said the Bloodislow Cup Corporate Challenge began in 2005/06. Riviera’s health and safety advisor Tony Schmid said it was pleasing to see that Riviera’s community spirit had not waned during the global financial crisis. Riviera Syndication will launch its new Sydney/Gold Coast/Hamilton Island 5800 Sport Yacht “Bellini” at the Sanctuary Cove International Boat Show. This boat to be based at Sanctuary Cove will spend 10 weeks each winter at Hamilton Island and 10 weeks each summer in Sydney/Pittwater. Riviera Syndication managing director John Russell said this boat had been extremely well received by the market with seven out of the 10 shares already sold. John said the boat had been personalised with added extras including a rear facing lounge in the cockpit, a kayak, a centre console tender with 20 hp engine, an additional two berth cabin with its own ensuite, air-conditioning, television, and stereo. Riviera Syndication owners also receive an individual three day training session on board the boat with a skipper to ensure the owners are confident with the vessel. John and Sharon Russell and their Riviera Syndication team have more than 30 years experience in the Marine Industry and 11 years in specialising in Syndication. They have the passion, the experience and the resources to guarantee your experience with Riviera Syndication. No other syndication company can claim these invaluable attributes. Their success is not by chance it has come from experience, commitment and passion. 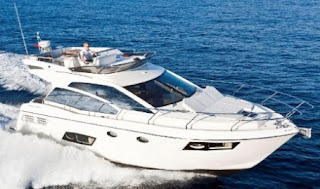 At the 2011 Rio de Janeiro Boat Show (April 27 – May 2 ) Sessa Maine will announce the establishment of a new company of the Sessa Holding Spa Group: Sessa Marine Brasil Ltda, based in the industrial district of São José in the State of Santa Catarina, in the south of the country. Sessa has a strong international vocation – with more than 90 dealers in 32 countries accounting for 70% of its total sales – and continues to expand after founding Sessa Marine America in Florida in 2006 and signing important distribution agreements in Mexico, Dubai, Turkey and the Middle East in 2010 and early 2011. Sessa Marine has been a big name in Italian-made yachts for over fifty years and has now decided it needs direct representation in South America in the hopes of conquering a large share of the market there. The company’s new project will allow it to serve local markets from close by and overcome the problems linked with customs tariffs on imports from Europe. To help penetrate this complex market Sessa Marine will be working with a local partner, Luis Neto , whose experience includes working with the Brazilian shipyard Intech, which has been making military and working vessels for more than 6 years. There will be no conflict of interest here, but a fruitful collaboration, strategically aimed towards development of products and markets on the continent without affecting European production policies. The partnership between Sessa Marine and Luis Neto will definitely bring great benefits and prospects. For the union will make it possible to combine a focus on detail and Italian-made quality with a workforce offering top quality and advanced technology in line with Sessa Marine standards as well as an opportunity to apply a complete hull production process employing infusion moulding technology. The state of Santa Catarina is one of the most interesting locations in Brazil’s growing boat market. The region is not only the perfect place for sailing, with a highly developed tourism industry, but also an industrial centre with a strong structure of related industries, an important tradition of boat-building and a well-established network of accessories suppliers. The south of the country also offers the perfect logistics for future development of Latin American markets. To Sessa Marine, being present in this area means playing a key role in one of today’s most important yacht markets. Sunseeker Malta Limited is proud to announce the opening of a second representative office, in Portomas Marina in St Julian's. This new office complements the first office situated at Grand Harbour Marina in Vittoriosa. The extension of Sunseeker Malta's services to Portomaso Marina signifies Sunseeker's presence in two of the most important and prestigious marinas on the island. The new office in Portomaso Marina is located very prominently on the water's edge, thus making it easily accessible. Sunseeker Malta has also established a partnership with MIPS and can now offer RYA courses that includes Practical Power Cruising, Practical Powerboat, Theoretical Shore Based and Sailing courses through the Portomaso office. Whilst Sunseeker Malta embraces the challenges ahead to retain their leading position, they are consistently implement strategies driven by the objective of continued growth through the provision of personalized services. The new Portomaso Marina office will certainly support them in their continual commitment towards excellence. On the beautiful sunny morning of Friday the 8th of April, the Sunseeker shipyards had a pleasant surprise in the form Madeline, a stunning Green Goddess truck to raise awareness for Waggy Tails, the local animal rescue charity. The Green Goddess, owned by one of our suppliers, Ideal Plumbing, is the colloquial name for the Bedford Self Propelled Pump, a fire engine used originally by the Auxiliary Fire Service (AFS), and latterly by the British Armed Forces. These green-painted vehicles were built between 1953 and 1956 for the Auxiliary Fire Service. The design was based on a Bedford RL series British military truck. During the war, these green goddesses brought huge amounts of fresh water to the decimated cities and were also used to support the fire service. Madeline was stored for most of her life and brought out for the two fireman strikes of 1977 and 2002 according to her log details. Ideal Plumbing use her to raise awareness for Waggy Tails charity and today, she is still saving lives, but in a different way. The Sunseeker Apprenticeship programme has been running since 1978 and currently has around 100 apprentices working across three main disciplines: Boat Building, Marine Electrical and Marine Engineering. The first formal and structured apprenticeship programme was put in place in during the early 2000s, and has been going through constant updating and development since. Despite an overall recruitment freeze throughout the business due to the recent economic downturn in 2008/9, Sunseeker continued to recruit apprentices, recognising the vital need to continue investing in and nurturing future talent. The apprentice programme combines learning at work (NVQ Level 3) with technical certificates (City and Guilds) plus key skills such as Maths and Team Work. At the end of their 4 year programme, the graduating apprentices are presented an award by the Management Team at the Southampton Boat Show. This year, Sunseeker is looking at recruiting 20 new apprentices for the programme. 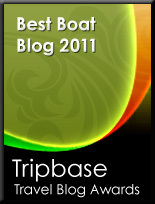 Sunseeker International Ltd has won a Bronze award in the prestigious RoSPA Occupational Health and Safety Awards 2011. The award will be presented at a ceremony at the Hilton Birmingham Metropole Hotel, at the National Exhibition Centre, on 17th May 2011. The Royal Society for the Prevention of Accidents (RoSPA), a safety charity, launched its awards programme 55 years ago. The scheme looks not only at accident records, but also entrants' overarching health and safety management systems, including important practices such as strong leadership and workforce involvement. The majority of RoSPA's awards are non-competitive, marking achievement at merit, bronze, silver and gold levels. Organisations maintaining high standards can win gold medals, president's awards and orders of distinction. Competitive awards are presented in more than 20 sectors, and specialist awards recognise excellence in specific areas, such as the management of occupational road risk. The RoSPA Occupational Health and Safety Awards 2011 are sponsored by NEBOSH (The National Examination Board in Occupational Safety and Health), the leading health and safety professional examining body. Luxury yacht-builder Tiara Yachts has named Allen Roche Marine as its agency of record. Allen Roche Marine specializes in the recreational boating industry. The firm will support Tiara Yachts in a variety of marketing initiatives, including a new website, social media integration, mobile application development and e-marketing. Allen Roche is based in Somerville, Mass. Tiara Yachts is pleased to announce the appointment of Grande Yachts International as their newest dealer. Grande Yachts is located just outside of Annapolis and will service Delaware, Maryland and Virginia. Strategically located in the Mid Atlantic, Grande Yachts International is perfectly positioned to bring the Tiara brand to one of America’s premier yachting locales. With their knowledgeable sales staff and experienced team, this full service marine retailer will excel with the Tiara product in the DC area. Tiara is thrilled about this new relationship and believes their customers on the Chesapeake Bay will be excited about this joint venture as well. 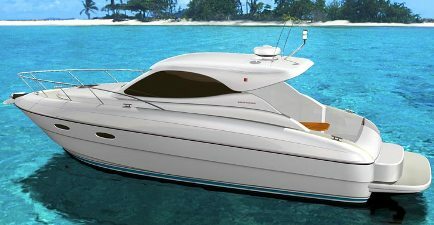 Grande Yachts will be participating in the Bay Bridge Boat Show April 28 – May 1, 2011 and will feature Tiara Yachts’ newest model, the 3100 Coronet. The New built Vulcan 46 metres superyacht is now for sale at Fraser Yachts. Vicem Yacht is pleased to announce to have signed a Co-Central Agency agreement with the esteemed Fraser Yachts brokerage agency for the sale of unit no.1 of the Vulcan 46 metres superyacht, currently under construction in the shipyard’s facilities in Antalya, Turkey. This boat will be on the water Oct-Nov this 2011. In order to improve efficiency, all three production lines – Vintage, Vulcan, Vanguard - will be concentrated in Antalya. This move is part of the new Vicem Yachts three year industrial plan started at the end of 2009. The launch of the Vulcan Line and more recently of the Vanguard Line, Vicem's third line of Open yachts characterize the fundamental stages of the plan. Together with the Vintage Line, the yard's core business - all three Lines will be built in Vicem's two Antalya facilities with a total of 30,000 m2 of production area. 1st April marks a special date in the history of the Viking Yacht Company. Founded by brothers Bill and Bob Healey 47 years ago on April 1, 1964, what began as a small, wooden boat building company has developed into one of the world's largest privately owned and family operated manufacturer of luxury, high-performance sportfishing convertible yachts. From a single building in our salad days to a massive facility encompassing five buildings and 820,000 square feet of manufacturing space, Viking has grown by leaps and bounds. Ever the consummate boat builder, a youthful Bill Healey discusses Viking's running gear and bottom shape with editor Hank Bowman from Boating magazine in the late 1960s. The Healeys' willingness to share boating knowledge throughout the years earned them recognition among their peers and resulted in the Healey Brothers being inducted into the National Marine Manufacturers Association Hall of Fame for their numerous contributions to pleasure boating and the marine industry. 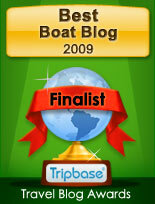 From day one, the emphasis was on building good looking boats that ran strong and were nicely finished. A boat that would turn the heads of people walking down the dock. Today's Vikings are the epitome of style, luxury and performance. Each one built with the same care and attention to detail as the one before it, only better. Famous traditional yacht and cruiser builder Menorquin presents its new virtual World wide web showroom. Menorquin was founded in 1978 on the Spanish Balearic island of Menorca, a place where the company is at today still located. Its first model launched at the same year was the Menorquin Llauts, which are based on traditional Spanish and Balearic island fishing boats lines, but with the comfort for leisure and that of a cruiser added within. A line that of the Llauts the company still is inspired in all its models accept for the sport cruiser 100 GT Largo. Time passes by and in 1997 Menorquin takes a huge step forward by launching the first of the Yacht line model. In 2000 sales increase require Menorquin to add space to its building facility adding 20,000 squared meters, totaling 30,000 square meters of working area. Three years later Menorquin makes another important step towards quality, by obtaining the ISO9000:2001 certification by Lloyd's for all the models built. 2008 is an important year for Menorquin not only because the Menorcan boat builder doubles its presence on the international markets; but because the company increases two more range of models, the flagship Custom Yacht, and the Largo sport cruiser series. A year later to this Menorquin also adds more to its brand apart building yachts; from Charter, Services, and a Brokerage department. In the same year 2009 Menorquin also presents its new Slow Yachting way program showing a promotion on the concept and how to use the cruisers and yachts. Today Menorquin offers a total of sixteen models, four of which still in project stages from five up to 24 meters in length, divided into five different and distinct lines; Efficient, Llauts, Yachts Classic, Yachts Custom, and Largo. Menorquin's new web site is available in Spanish, English, French, Italian, and German language and takes you around with the following buttons; Home, Boat Range, Services, Brokerage, Charter, News, Menorquin, Newsletter, Contact, Search, and Follow Us for social networks Facebook and Twitter. Couach finally launches its entry level model the 2300 Fly. The new smallest model of the Couach yachts was outlined in early 2008, and then this model suffered a two year delay as the Guyan-Mesas located builder was being taken over by new management. This new Couach motor yacht continues what has been a symbol of this yard offering Mediterranean style design and amenities with a very sea worthy hull, which comes from the navy and military experience of this French builder. As has been offered by Couach in a couple decades, the 2300 Fly is also built with Kevlar glass, making for a light 39 tons empty displacement, and a strength hard to find in similar builds. But apart being sea worthy and strong the Couach 2300 Fly also offers a lot of comfort on all the three decks; flybridge, main, and below cabin area. The flybridge is also that bit extra spacious, thanks to the transfer of the tender on the bathing platform. Main saloon is a two steps split level area, with the entrance being located on the lower part offering the lounging area, with galley, dining table, and helm station located to forward. The saloon also offers a lot of easy movement to outside not only from the aft patio door but thanks to three side doors located in three strategic key areas; galley, by the internal staircase, and next to the pilot station. Below is a four double cabins plan with three heads, this giving the today standard of an owners suite to mid ship, VIP cabin to fore, and two double guest rooms in between. A crew cabin with two berths and shower head is located to fore. The Couach 2300 Fly is powered by standard MAN 1360hp, or optional MTU 1523hp engines with this last choice giving a top speed of 34 knots. After presenting its first model the Corsair more or less about three years ago, the North Italy Venice located Levi Boat Company moves on to its next project which is the Corsair Sport project. This new model from Levi Boat is based on the same very famous Renato Sonny Levi designed deep Vee Delta shape hull, as used on the more cabin orientated standard Corsair model. As has been shown in the standard Corsair a quality detail and high technology construction is to be found also in this Sport version. Being very much a center console the Corsair Sport continues the innovation as found in a recent US built similar sized project, offering also a center cabin. The Corsair Sport can indeed sleep two in a cabin located under the center console which features an entrance on the forward part. A head under one of the two settees in the cabin is also to be found. Power is a wide variety of choices from 340 up to 630hp engines, with a top speed target of up to fifty knots with the largest engine choices. Regal's 42 Sport Coupe model was presented in the fall of 2010 and follows the 2009 presented similar 44 which is now renamed as 46. The 42 Sport Coupe sits in the middle of the six model Sportyachts range which starts from 35 and ends up with the 52 Sport Coupe models. As is custom in this size the Regal 42 Sport Coupe is a hard top sport cruiser, with a very European touch not only to its exterior design but also in its interior plan which features two separate cabins, two en-suite heads, and a living with C-shaped saloon and opposite galley located in between. Interesting is the owners room located to fore which features an en-suite head located to port, and a separate shower to starboard. Another interesting option for all year sun and rain users is also the solid cockpit enclosure, what is a six part sliding patio door which closes like 60% of the single level main deck. Power is from twin Volvo engines with IPS pods propulsion from gas petrol standard of 370hp to optional diesel of 300 or 370hp. The diesel 300hp delivers a top speed of 32 knots. Moonen has announced that its largest project to date, which was originally slated to be 133 feet in length, has been extended by a further four feet. The fully customised 42 metre Moonen will now carry a submarine that is capable of seating three passengers instead of the originally specified two. With its increased length, this custom-built Moonen will make history by being the first luxury motor yacht in this size range to carry a fully fledged submarine for three people. With the option to reach a depth of 100 metres, the submarine will be secured on the swim platform and will be launched and recovered by an integrated crane, which also serves as a docking bay for the tenders. Once the vessel is in the water the enormous platform opens up to offer a world of water sports entertainment. Construction on both the hull and the superstructure is proceeding apace, with a launch date slated for the autumn of 2012. The owner has chosen for an entertainment lighting system as part of a luxury home automation set-up. Moonen is also currently investigating various integrated solutions for climate control, air conditioning, heating and refrigeration installations. The owner has also requested that the yacht be fitted exclusively with LED lights as part of a bright and open interior. Designed by Art-Line Interiors, the overall interior style will feature oak wood and Zabrano. Combining rugged adventurous looks with modern super yacht style and classic elements, the Moonen 42m is an elegant explorer with a low profile, sea worthy hull and a long range capability. Galeon 780 Crystal continues its construction journey and in each progress we see the complete motor yacht taking shape with a launch for coming Summer in plan and a World preview for the fall 2011 shows on September in the Mediterranean being very possible. ﻿After showing you the inner and outer skin of the 780 Crystal being completed, now its time to get into some technical details. In this part six we are in fact showing the aft, back part which will feature a hydraulic up down tender retrieving platform. Here in fact we are showing you this being installed. That hole which is near the transom stairs which leads from the cockpit to the platform is the access for the aft crew quarters. Here the accommodation is for two persons with a small galley, a sofa settee for two, and a shower head. Another interesting detail in the crew quaters is also that one of the cabins, the one to portside, can be separated with a sliding door, making it become a two cabin area. Axcell 650 Catamaran Sport Yacht is a new challenge in the market which is unique in this size and style for having a planning cat hull. The company behind this new build is MACS Research who present an innovative sport yacht, with a unique hybrid dual catamaran hull. Sporting its proprietary thirteen year of research HybridAir Technology hull this incorporates advanced systems from the Hovercraft industry, which gives the Axcell 650 extraordinary efficiency and speed, along with reduced fuel burn, coupled with the remarkable ride and stability that only a performance power catamaran can provide. Other bonuses are also a unique tender garage which can host a sixteen feet RIB with a 90hp outboard. Quite remarkable for this size of yacht. On the accommodation the Axcell 650 delivers an enclosed main deck which offers a living area, and the helm station located to starboard. Down below is the space for another living area, galley, and the three double guest cabins. Power is from twin 1150hp Cat engines with Arneson surface drives used as propulsion. Speed is a 40 knots max, and a 36 knots cruise. Since re branded outside Jeanneau, Prestige has been presenting more innovative models, and the 500 S is just a testimony to this. Launched in the fall of 2010 the Prestige 500 S is the new flagship of the Express Line and takes over from the slightly larger 50 S, or as recently renamed 510 S. The 500 S is a huge departure not only in the looks but also in the innovation it carries, featuring the latest as found in the one year plus presented 60 flagship, from the astern galley, located in the main deck dedicated to the living, to the use of IPS which creates more space below found on boats to a minimum about five feet larger. The main deck is a spacious affair with a split level saloon offering a galley to the entrance by the patio, and a one step raised area presenting a saloon with a C-shaped settee, and a helm station to starboard. Down below the huge space continues not only with the spacious owners room located to mid ship and being full beam but for two other full sized guest cabins; being a VIP to fore, and a double to port side. 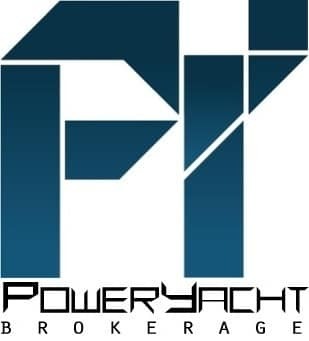 Power is from twin Volvo 435hp with IPS pods being the chosen propulsion choice giving a top speed estimate of 34 knots. Larson boats from USA updates its virtual World wide showroom to a new platform. The updated web site from Larson aims to show the developments of this builder in a modern platform showing its boats in an easy functional way. Founded in 1913 by Paul Larson at Little Falls, Minnesota him the founder of the company built his first double-end craft duck hunting boat what was to be the first model. Things moved on for Larson and in 1922 he also became the first Johnson dealer in Minnesota, built a new factory, and in mid decade went on to racing winning seven races in the process before being badly injured in a crash. After the great depression of the thirties Larson doubled factory space to fill the increase demand of the newer models which featured windshield, lights, and fancy upholstery. In 1938 an important sport boat model started production and this was the radical Falls Flyer. In the fifties fiberglass appeared in boat building, and Larson moved on to this more production friendly material; presenting a new line of models with it; Cruisemater, Pla-Boy, Thunderhawk, and the All-American which was stopped in production about forty years later in the nineties. The boom of the sixties arrived and with it Paul Larson expanded the All-American line with the the Lapline hull which had the deep-V, and a tri version bottom. In 1969 Paul Larson retired with a company which was the largest runabout manufacturer in the USA. Other important steps arrive in 1985 when Larson introduces the Delta Conic hull ensuring record sales for the year, and in the same decade it presents the Senza deep Vee line, and its first non trailer able cruiser with the 30 feet Contempra. At the end of the eighties decade Larson was sold to Minnesota investor Irwin Jacobs becoming part of what will be the Genmar Industries later on. Larson shows growth again in 1991 with the launch of the Cabrio, and Escapade series. Larson is one of the few building its models with a closed mold technique called VEC a technology which the company started using in 2000. Today Larson has a 26 model line up which is divided into five series; LX, Senza, LXI, Escape, and Cabrio. Smallest model is the 186 Senza, and the largest is the 370 Cabrio DC. Larson new website takes you around with the following buttons: Overview, Boats, Build-A-Boat, Store, and Brochure. On Saturday, March 19 International Shipyards Ancona launched the 50m motor yacht Liberty, the first in a series of three new fifty meters currently under construction at the Italian yard. The three yachts in the 50m series share the same technical platform but differ in their superstructure and transom design. Architect Andrea Vallicelli, in collaboration with ISA's in-house naval architects, designed Liberty to be a sophisticated displacement yacht. Huge volumes, great performance and low consumption are the main features of this excellent platform. Liberty's elegant exterior lines are magnified by the contrast between her metallic dark grey hull and the white superstructure. Twelve guests are accommodated between a master suite on the main deck, four guest cabins on the lower deck and a VIP cabin on the upper deck. The yacht accommodates 10 crew. The yacht is powered by two MTU with a max power of 2479hp. She can reach 16.8 knot at maximum speed. A pair of Quantum Zero Speed stabilizers guarantees a smooth navigation in the most severe conditions and a comfortable stay at anchor. Liberty is scheduled for delivery in May 2011. Arif Al Zafeen and Nadir bin Hendi made the perfect start to the defence of their World title, winning race 1 of a dramatic Abu Dhabi Grand Prix which saw Relekta crash out on lap 4 and the race red-flagged. Sheikh Hassan bin Jabor Al-Thani and Steve Curtis marked their return to Class 1 bringing Spirit of Qatar 96 home in second place, with Fendi Racing's Luca Fendi and Giovanni Carpitella completing the podium. Al Zafeen and Bin Hendi made a strong start passing pole-sitters Team Abu Dhabi to lead at the end of lap 1, with Spirit of Qatar 95 in third ahead of their teammates, Fendi Racing and Relekta. By the end of lap 3 the Dubai pairing had opened up a comfortable 15-second lead over their country rivals. Spirit of Qatar 96 moved into third and Relekta's Ugur Isik and Christian Zaborowski were up to fourth place. But their race ended in spectacular fashion half-a-lap later when they rolled Relekta to bring out the red flag, ending what had been an impressive race weekend debut for the new pairing. From the restart Al Zafeen and Bin Hendi made no mistake, immediately opening up a lead and going on to take a 22nd career victory and win a reduced nine lap, race 1 of the Abu Dhabi Grand Prix by 16 seconds. Team Abu Dhabi's hopes of adding a podium to their win in the morning's qualifying ended when they took their long lap and were passed by both Spirit of Qatar 96 and Fendi Racing, both oufits taking their long laps before the red flag was raised. After the frustration of qualifying down in seventh place, Sheikh Hassan was more than satisfied with second place. For Luca Fendi and Giovanni Carpitella it was a repeat podium success of their Class 1 debut together in Abu Dhabi last year. Spirit of Qatar 95 were unable to reproduce the pace that put them third quickest in qualifying, finishing in fifth place ahead of Poliform and Parsonage Racing. There was frustration for MITI's Nicola Giorgi and Tomaso Polli, stopping on lap 6, with Welmax enduring what wheel-man Selmer described as a 'crankshaft nightmare', failing to make the start but getting out for the restart just to test the boat. Arif Al Zafeen and Nadir bin Hendi produced an emphatic performance to make it two wins out of two, storming to victory in race 2 of the Abu Dhabi Grand Prix. Second and third places on the podium went to Spirit of Qatar 96 and 95, with Sheikh Hassan and Steve Curtis taking their second race-podium of the weekend, leading home Ali Al Neama and Matteo Nicolini. It was a clinical demonstration by the World Champions, but they were made to work hard and had to come from behind to take their 23rd race win. The long start-run on the outside of Lulu Island strung the boats out as they battled the rough conditions and it was Spirit of Qatar 96 who grabbed the advantage and edged ahead of Victory to lead at the first turn, with Fendi Racing in third. The lead trio held position for four laps when Victory went on their long lap. A lap later Spirit of Qatar took theirs and Victory moved ahead, overturning a 17- second deficit to lead the race. The Emirati duo then eased away, going on to win by over 43 seconds and will leave Abu Dhabi with a ten-point lead in the championship standings. This afternoon's double podium finish completed a highly successful weekend for the Spirit of Qatar Team. Spirit of Qatar 95 produced one of the best performances of the afternoon, moving up from fifth place at the start to give Ali Al Neama a first race-podium on his Grand Prix debut. A steering problem during the race put paid to any hopes of a second podium finish for Fendi Racing's Luca Fendi and Giovanni Capitella, who slipped to fifth after running in third place for four laps, before being overhauled by both Spirit of Qatar 95 and Team Abu Dhabi. Guido Cappellini and Giampaolo Montavoci managed a second sixth place finish of the weekend in Poliform, ahead of Parsonage Racing and Welmax, with Relekta completing the race to pick up points after yesterday's crash, ahead of Nicola Giorgi and Tomaso Polli in MITI. Mustang presents its relaunch model, which signal the first release to be made under the eye of boat builder Bill Barry-Cotter, owner of Maritimo today, and founder of Riviera in the past. The Mustang 32 Sports Cruiser will feature a two cabin interior plan which sleep a total of four. The three-side enclosed hard top presents a big part of the aft cockpit. Here the entertaining area features a large L-shape lounge that runs along the port side and curves around the transom. A dinette table can convert this lounge into a great sun pad. The cockpit includes a forward helm on the starboard side with helm and companion seats. A well-equipped galley is opposite on the port side. Forward, a companionway leads to the accommodation of a master cabin forward with an island double bed and hanging lockers. A second two-bunk cabin is on the starboard side and the bathroom is on the port side. The new design builds on the great tradition of the Mustang brand. Standard power is for a single 380hp Mercruiser gas engine aimed to make a very intersting entry level price. Ten boats will line up off Lulu Island for next week's Abu Dhabi Grand Prix, 13-15 April, round 1 of the UIM Class 1 World Powerboat Championship, for what promises to be an intriguing season-opener. A raft of new technical rulings, a promise of strict enforcement of regulations, new teams and driver line-ups and the return of Spirit of Qatar all add spice to a season where the form book of previous years may have little bearing. The season-opener sees the Class 1 Championship fielding one of its most competitive fleets in recent years; three Middle East teams take on six from Europe, seven of the ten outfits opting to run V12 power-plants over V8, with four World Champions lining-up in Abu Dhabi. Reverting to running in the more familiar blue colours of Victory Team, Arif Al Zafeen and Nadir bin Hendi shoulder full responsibility as the Dubai team's sole entry. 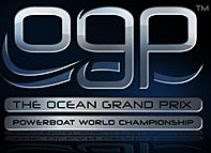 The Champions have dominated the last two seasons and set-out in defence of their World, European and Middle East titles looking to add to their 21 career-wins apiece as they start their campaign to try to lift an eleventh world title for the team. Team Abu Dhabi will be hoping to benefit from home advantage, with Emirati Rashed Al Tayer and American race-ace, John Tomlinson, who won the World and European titles in 1997, looking to kick-start their season with a repeat of last year's win on home waters. Lining up in Class 1 for the first time in 18 months, Spirit of Qatar fields a two-boat attack; Sheikh Hassan bin Jabor Al-Thani and eight-times World Champion Steve Curtis lead the team's assault as the Qatari outfit bids for its first World crown, and they in turn look for their first win in Class 1 since teaming-up in 2008. Matteo Nicolini, who won the European title alongside Sheikh Hassan in 2005 and grabbed the team's last win in the championship in Dubai in 2008, partners Class 1 rookie, Ali Al Neama. Spirit of Qatar 95 and 96 will both run Skema-Lamborghini V12s. Norwegian hopes for success hang with Welmax and Relekta - both running Mercury-Class 1 V8s. Welmax's all-Norwegian partnership of Kolbjorn Selmer and Jorn Tandberg will be aiming for the perfect start to the defence of their Edox Pole Position crown, and intent on taking their first outright race-win together to add to their ten podium finishes and five pole position wins since joining forces in 2009. A revised driver line-up sees Zabo Racing, who made their championship debut in Norway last season, taking their first podium in Abu Dhabi, bring in Turkish driver Ugur Isik, back racing in Class 1 for the first time in over a decade, to partner race and pole position winner Christian Zaborowski in Relekta. Of the three all-Italian pairings, two are new team entries but all three are experienced partnerships. Fendi Racing's Luca Formilli Fendi and Giovanni Carpitella - a double race winner in 2010 - have put their plans to run their new Outerlimits boat-engine package on hold for the Abu Dhabi Grand Prix and will unveil it in Norway, and run a Michael Peters-designed Victory built hull with Victory V12 engines. GiorgiOffshore stay with the same boat-engine package and driver line-up that ended 2010, but with Nicola Giorgi, set to start his 75th Grand Prix, behind the wheel and Tomaso Polli taking the throttles in the Victory built, SCAM-Lamborghini powered MITI Tech Power. DAC Racing's Guido Cappellini and Giampaolo Montavoci maintain their partnership that began in Brazil last year with a podium and ended the year with a podium, running a Michael Peters-designed Tencara powered by Mercury-Class 1 V8s. Plymouth based Chris Parsonage Racing also run a new driver line-up with Italian Giorgio Manuzzi starting a fifth term in Class 1 alongside his former teammate at Maritimo Racing, Norway's Pål Virik Nilsen. The Abu Dhabi Grand Prix gets underway with first practice on Wednesday afternoon. A second practice on Thursday morning is immediately followed by qualifying in the Edox Pole Position with race 1 in the afternoon. A final practice session on Friday morning is followed by race 2.